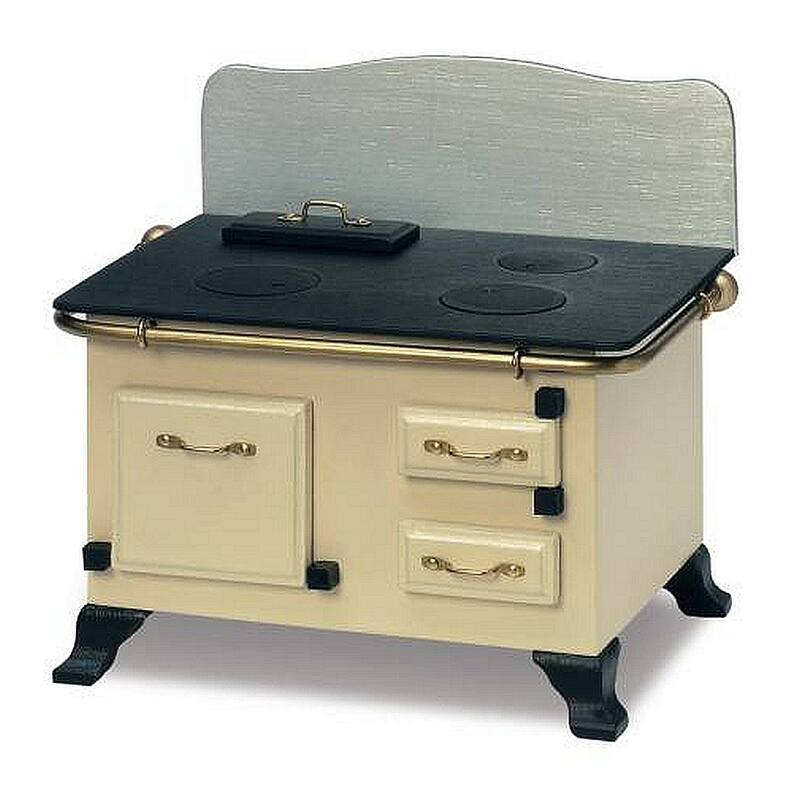 The stove is authentically painted in ivory and black. Two cans of acrylic paint for this are included with the construction set. But it also looks very nice when individual parts are painted in gold or silver. 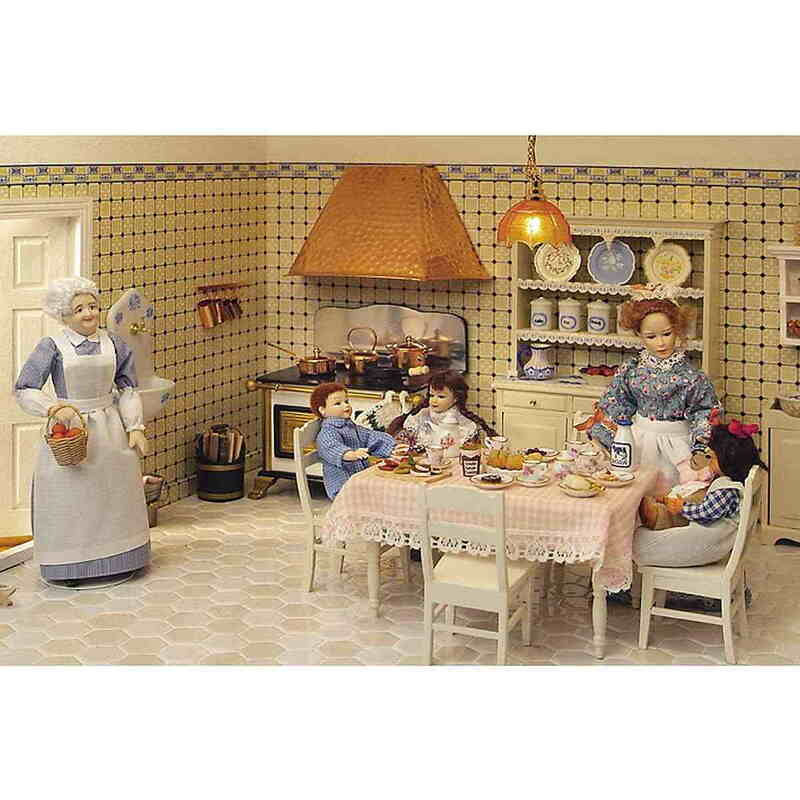 Various miniatures are also included such as Set of cake moulds (#19065) made of copper, spice rack (#19100), copper cooking pots and frying pan (#19095) made of copper, dish washing-up bowl (#15260), working materials and three sheets of wallpaper (41170). 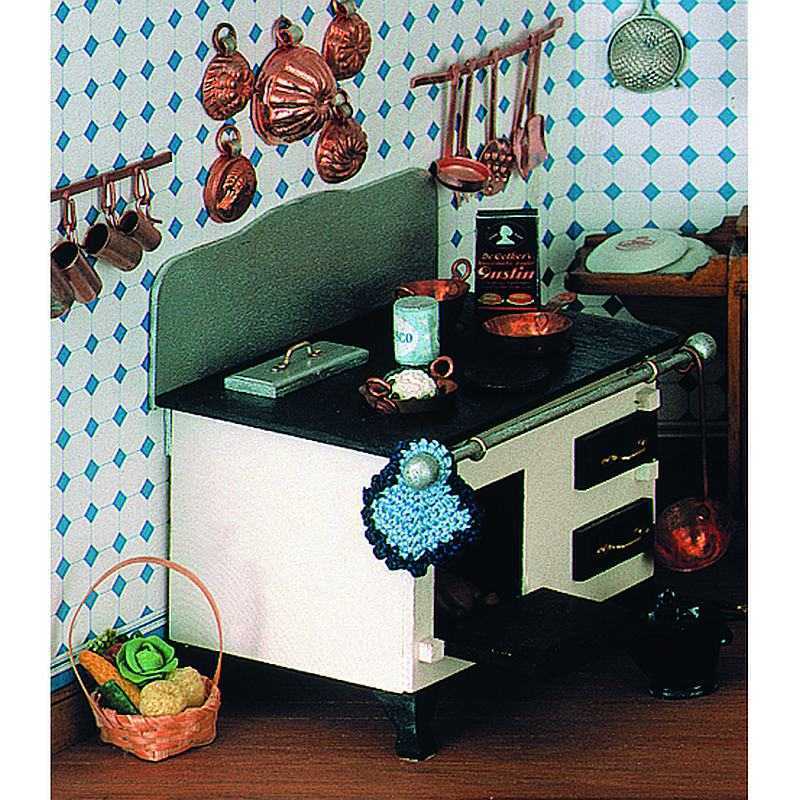 We recommend our MODULE BOX (90100) as the ideal room for your "Antique kitchen" and the usage of two indirect lighting bars (20600) along with the hanging kitchen lamp (25880) to provide uniform lighting. A correspondingly wide flat strip (70591) is glued to the front glass panel to elegantly conceal the lighting bars. This has the advantage that the lighting bar lies freely after the glass panel is slid on and the light bulbs can easily be replaced as needed. Beautifully shaped cooker hood that should not be missing above a stove. The chimney is a perfect addition to the old coal stove (kit, #40065) with its surrounding brass rods.